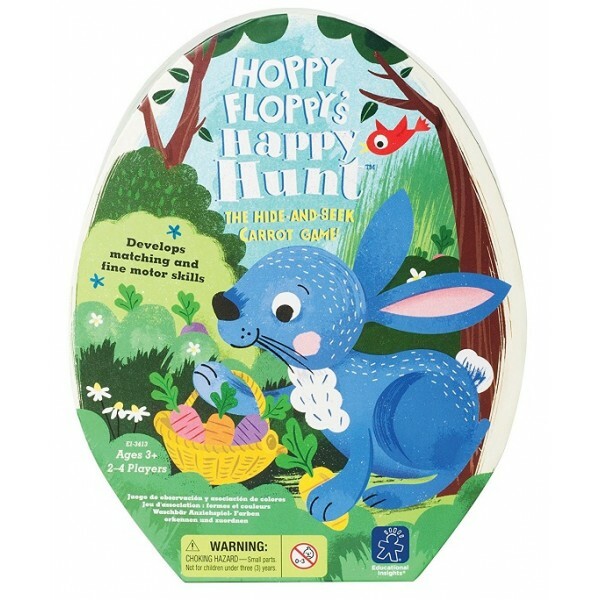 Hoppy Floppy needs your help to collect colorful carrots to take home! Sounds simple, but you can get your basket knocked over or your carrots stolen, so be strategic, little bunny. 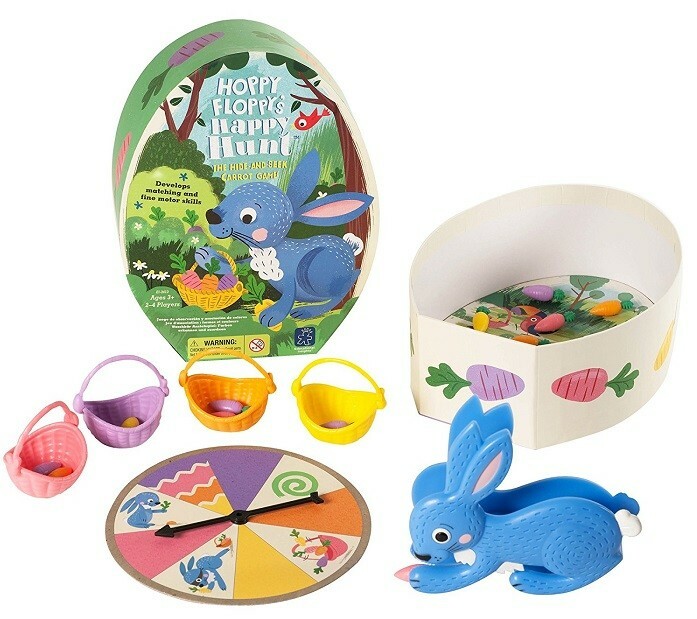 The box includes a colorful carrot-shaped board, a Hoppy Floppy Squeezer, 16 carrots, 4 baskets, a game spinner, and a guide. 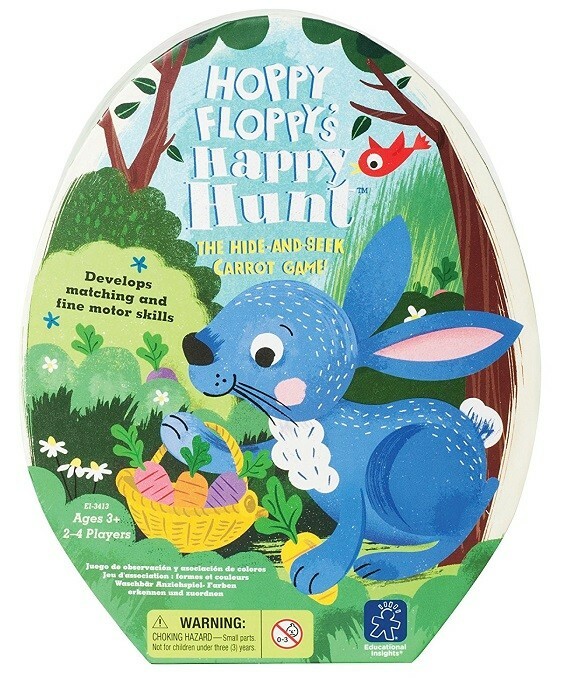 This game for two to four players develops matching skills, strategic thinking, hand-eye coordination, fine motor skills, and pre-handwriting skills.